Motion capture is the act of capturing and accurately reconstructing the animated movement of a human in virtual space. NANSENSE combines innovative 3D kinematics software, inertial motion sensing technologies and computer vision to reconstruct human motion. NANSENSE systems are designed for the digital entertainment, virtual reality, biomechanics, medical and sport science industries. With a background of over seven years in hardware and software research, NANSENSE was ultimately founded out of our own need to have reliable and portable motion capture systems that can animate the characters of projects that we work on. We wanted a tool that we can use, and after we created it, we wanted to share it with the world. We believe that a motion capture system is only as good as the projects that it is being used for. Everything we build is designed and developed in-house using proprietary software, state-of-the-art hardware, using durable and anatomically-correct clothing. NANSENSE software is designed to endure the chaos of professional motion capture shoots and to output clean post-processed data that is ready for retargetting. Our software pipelines broadcasts motion data to a variety of animation software packages, game engines and data analysis tools through a set of plug-ins. 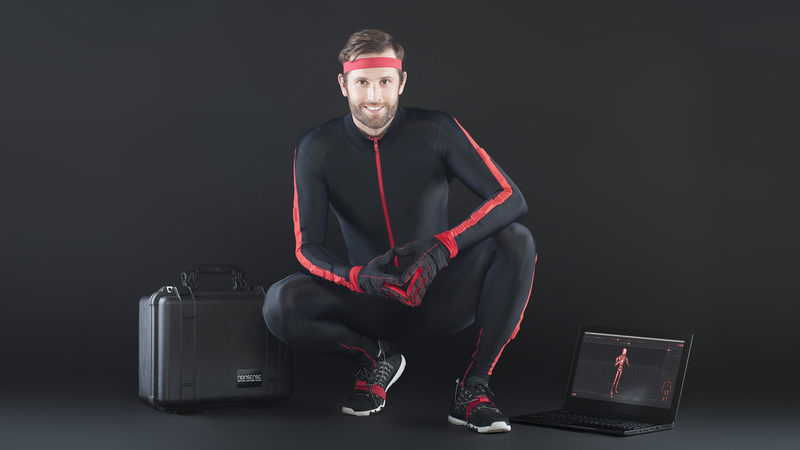 Configurable upper-body, full-body and glove motion capture systems that can be further customized to contained any number of wearable sensors placed anywhere on the body. Following the plug-and-play philosophy of modern computer peripherals, our systems are highly portable and easy to set up and do not require expert knowledge. We target both the professional and consumer market, enabling small studios and research institutions to capture and process highly-accurate motion data.